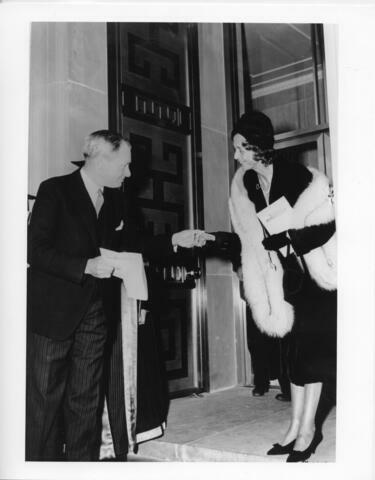 File consists of a photograph and a photographic negative of Lady Dunn, presenting the key to the Sir James Dunn Science Building to Donald MacInnes. The photograph was selected for inclusion in the publication "The Lives of Dalhousie University, Vol. 2" by Peter B. Waite (page 213).